For over a year I only heard wonderful things about Thom Southerland and how he had a magic touch when it came to staging ridiculously impressive musicals in theatres that should have been far too small to do them justice. 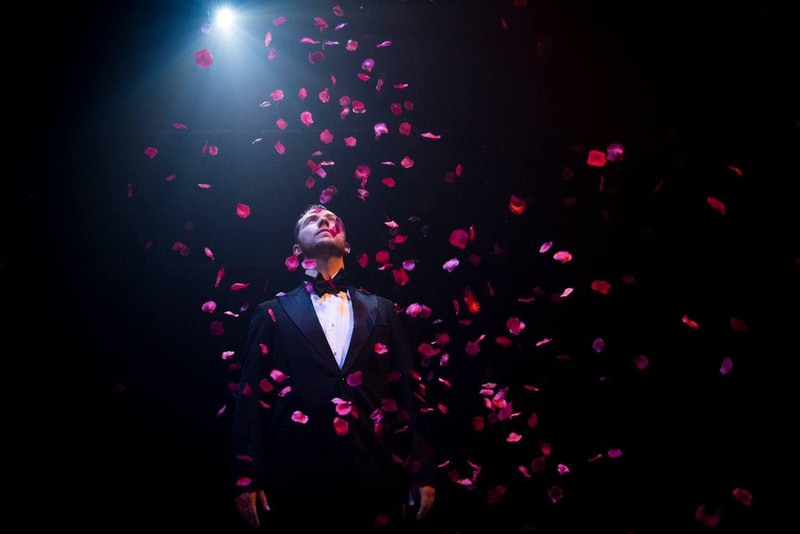 His version of Mack & Mabel (long a favourite of the cognoscenti) was longlisted for the Evening Standard Best Musical 2012, whilst he repeated the trick the following year with the decision to attempt a staging of Titanic at the Southwark Playhouse. So it was slightly disappointing to discover that by the time Civilian Theatre got round to seeing his shows, the magic seemed to have become a little more elusive. The Mikado at the Charing Cross Theatre was fluffy, fun but ultimately inconsequential, whilst The Grand Tour at the Finborough was a curio but didn’t fully hang together. Both pieces demonstrated hints of brilliance but never quite delivered. As a result it is a great pleasure to announce that his revival of Grand Hotel at the Southwark Playhouse is absolutely spectacular. Right across the cast through to the choregraphy, direction and staging – there is very little to fault with the production. And this praise comes from a reviewer who could distinctly remember being unimpressed by the 2004 Donmar production (even if he couldn’t remember exactly why he didn’t take to Grandage’s version). It may have been an off night for the cast or the audience member, but since then I have rather dismissed it as a musical. Well never say never. 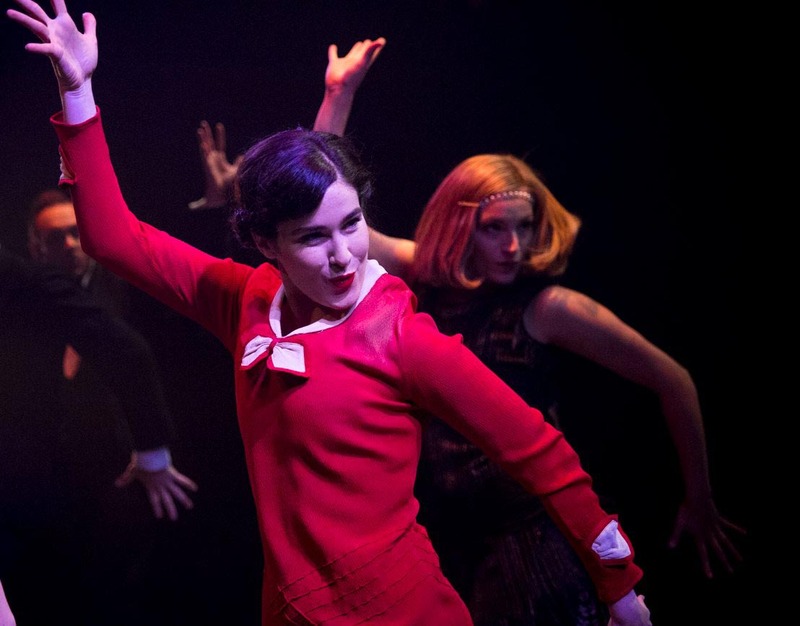 Watching the talented cast put body and soul into tight-knit jazz-enthused numbers on a traverse stage that is so close to the audience a misplaced foot would risk an actor going for a tumble was to experience revelation. Whether the credit for the choreography goes to the New York originator, Tommy Tune, or Southerland’s semi-regular collaborator, Lee Proud, is almost immaterial. 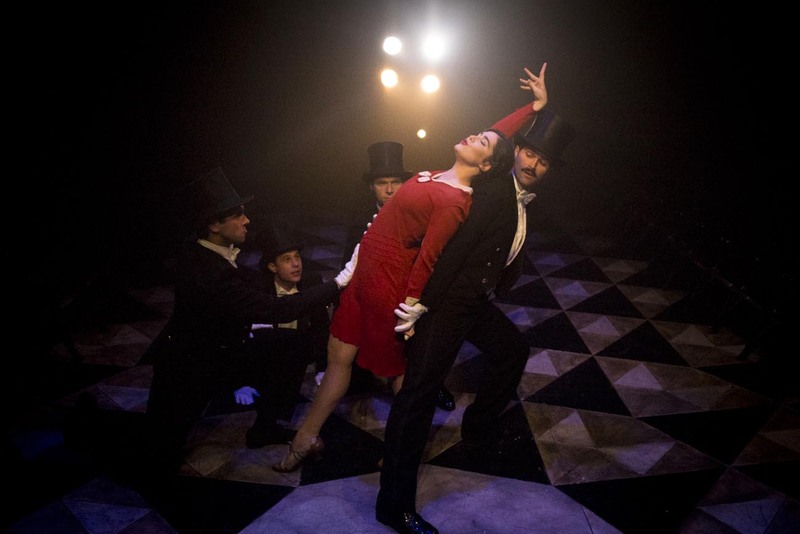 It is fluid, neat and joyous to watch; from the ensemble cast dancing The Grand Charleston through to the heart-warming and hilarious duet between Flaemmchen (Victoria Serra) and Otto Kringelein (George Rae) you cannot drag your eyes from the stage. And the book and the music. As good as I’ve heard in a musical for a long, long time. Whether it was Forrest & Wright’s original score, or the substantial reworking enacted by Maury Yeston to get it Broadway ready, there is almost no fat on a production that runs 1hr45 without an interval. West End theatres could take note when padding out their shows with by-the-numbers ballads in order to justify an £80 ticket price by having a bloated running time. Any musical would be happy to have a number like Grand Hotel to open with. It bares comparisons with Sondheim in the way that it floats in and out, never quite revealing the type of song it wants to be whilst subtly introducing the characters, setting up the tension of the plots, before exploding into the rousing ensemble finale that just calls out for a sustained round of audience applause. Yet where Sondheim is occasionally criticised for coldness in his lyrics – his songs are formally brilliant but somehow lacking heart – then the same cannot be applied to Grand Hotel. Bonjour Amour, as sung by fading ballerina, Grushinskaya (Christine Grimandi) or Roses at the Station, a truly heart-breaking number by the Baron (Scott Garnham) demonstrate an expansive romanticism of an era that is disappearing around them. We are introduced to an era of class distinction, privilege and snobbery but we cannot help but fall these characters as they express values that disappeared in minutes on the muddy plains of the Somme and Flanders; nobleness, chivalry, generosity – love in its many splendored forms. Around them we see the darkness, it skirts the edges and exists in the shadows. The world is changing and it no longer needs or wants this type of person. They are getting squeezed between the emerging breed of rapacious capitalists for whom money is all, and the rest of society who live close to servitude and are increasingly frustrated by their grievances. The end of the production provides a shocking but timely reminder of the change is about to come. It is hard to pick out individual members of the cast, as they work so well as an ensemble but possibly standing out are Victoria Serra’s, Hollywood-aspirant in torn stockings, Flaemmchan and George Rae’s dying Otto Kringelein. They make quite a pair, George Rae has a fabulous voice but also humanises Otto, and removes the element of caricature that exists in all parts so broadly drawn, whilst Victoria Serra bring a necessary warmth to a role that has to tread a fine line between a woman who cynically chases men with money and a girl who at times is shockingly naïve about the world to. In short, Grand Hotel is a very, very special production. It is the best musical to hit London since The Scottsboro Boys – and since that was Civilian Theatre’s No.1 production of 2013 that is high praise indeed. Go buy a ticket, it may be August, it may be hot in the theatre, but some things should not be missed.